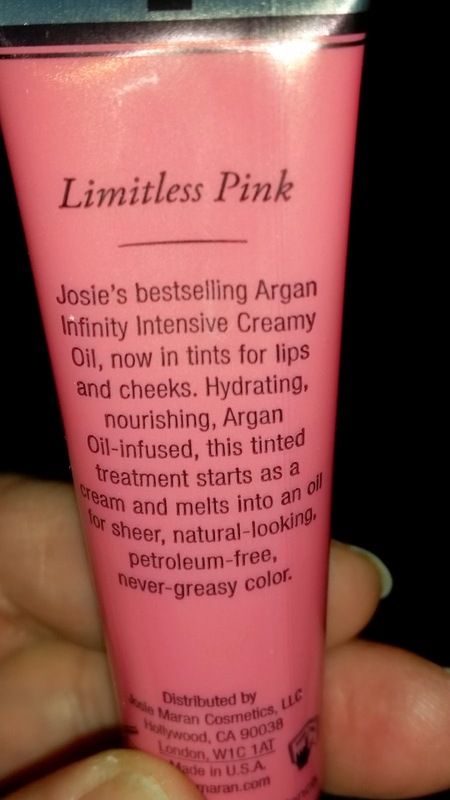 I recently purchased Limitless Pink which is a Josie Maran Argan Infinity lip and cheek creamy oil. Limitless Pink is described as a medium pink although it seems more like a salmon pink on myself. 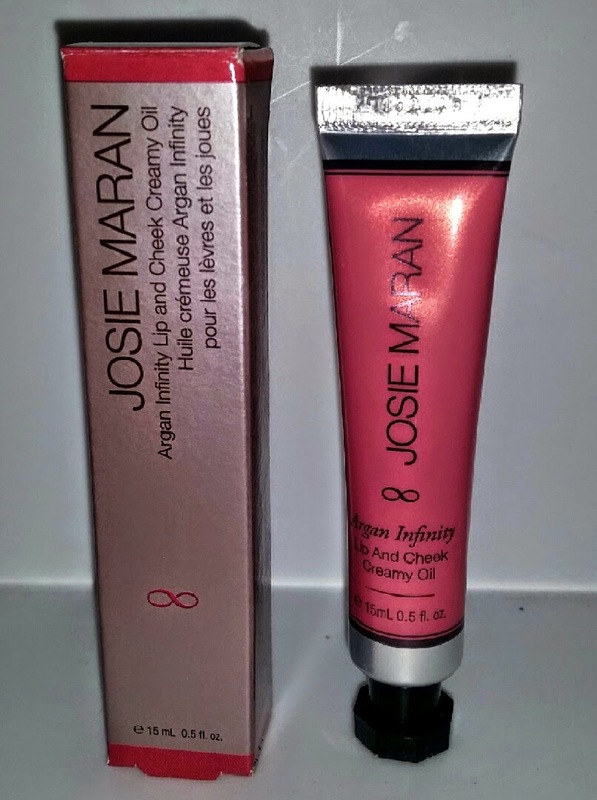 The formula is semi-sheer, applies smooth and creamy but with a slightly greasy feel. It currently retails for $18.00 USD, it contains .5 oz of product and it is available in store and online at Sephora. I have really dry skin so this product worked well on my cheeks and lips but it didn't last as long as I would have liked. When applied to my cheeks it gave my face a dewy look and feel but it only wore for about an hour, maybe two, before I saw significant fading. On my lips it wore slightly better. 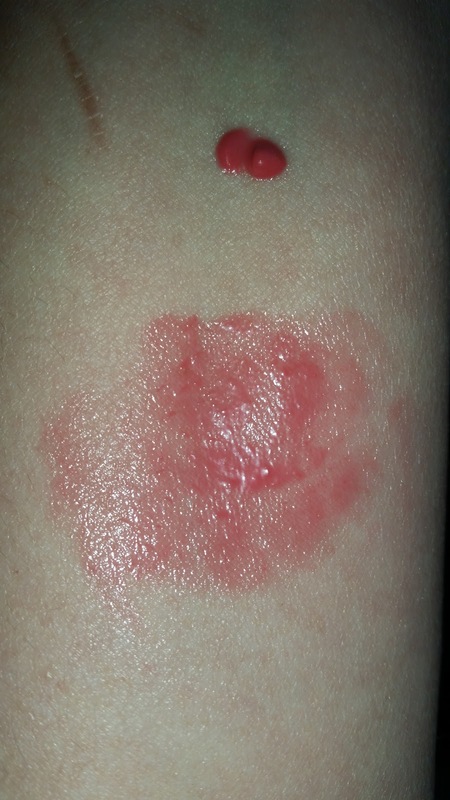 It looked nice and I felt like it kept them moisturized for about three to four hours before I needed to reapply. My advice when applying is to do so in thin layers. If too much product is applied all at once then it maintains a slick, almost greasy feel rather than a nice dewy finish. By applying in thin layers this will also help the color to show up better on the cheeks.